Tortoises rely on heat lamps for warmth and vitamin D3 absorption through UV lighting. 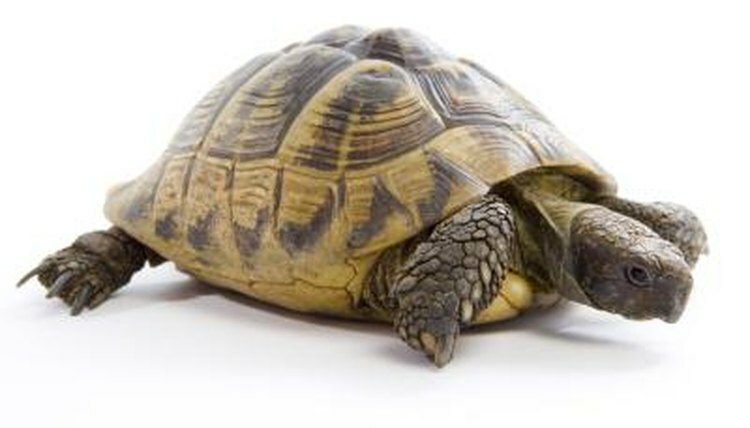 Since most pet tortoises do not have sufficient time in natural sunlight, these lamps can help prevent ailments such as metabolic bone disease. Choosing the right lamp for your tortoise and the size of your terrarium will make a big difference in your pet's health and well-being. Neodymium lamps are commonly sold in many pet store chains, but these lights do not actually emit any useful UV. Therefore, these lamps should not be relied upon to provide any metabolic benefits. A regular domestic bulb could easily be substituted for the more expensive reptile basking light. Both black lights and infrared lights are unsuitable for reptilian terrariums. In fact, prolonged exposure to black lights in particular are potentially harmful to tortoises (and humans) because they emit UV-C, which has been shown to lead to possible skin cancer and eye damage. Fluorescent lights can be a good choice for tortoise terrariums. They do provide a nearly full-spectrum light source, though they will not be a sufficient heat source. You will always need to provide a secondary incandescent light bulb for warmth. The best overall choice for tortoise habitats is a self-ballasted mercury vapor, or UV-B heat lamp. These lights have become widely recognized as a reliable sources of UV-B, which is essential to tortoise health. They also provide a good source of heat. Some of these lamps put out a large amount of heat and high levels of UV-B, so be sure to install them according to manufacturer's recommendations to avoid over-exposing your tortoise. Olivia Kight is an experienced online and print writer and editor. She graduated with a Bachelor of Arts in 2012, and has worked on education, family life and counseling publications. She also gained valuable knowledge shadowing a zoo veterinarian and grooming and socialize show dogs, and now spends her time writing and training her spunky young labradoodle, Booker. Can Bearded Dragons Use Heat Rocks? How Long Do I Keep My UV Light on for My Turtles? Can My Bearded Dragon Get Sunburned? What Kind of Light Bulb for Turtles? What Animals Need a UVB Bulb?